Good intentions don’t automatically result in a positive impact. When it comes to seeing real social change, funders need to take a front row seat and get involved in the action. 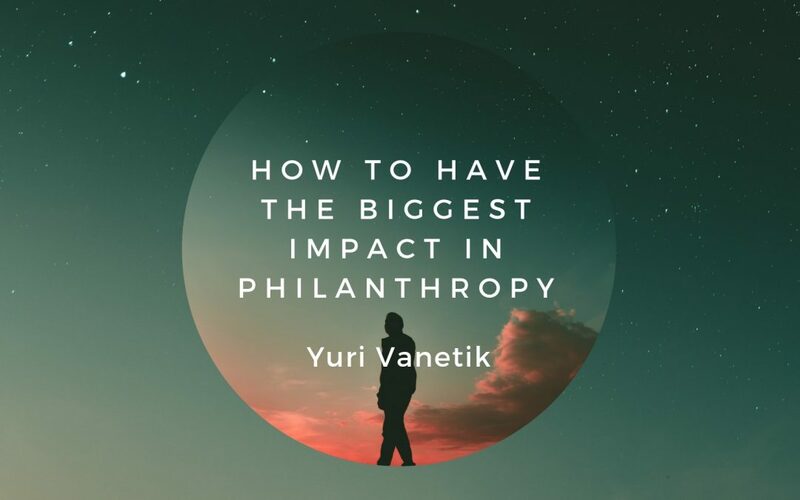 The goal of philanthropy is to make a difference. Sitting around and idealizing about tactics and solutions does not automatically produce the changes most philanthropists desire to see. Foundations want to see improvements. They’re in the business of philanthropy because they want to make a change in the world around them. It’s not necessary to roll-out a perfected plan before executing it. Foundations can begin by brainstorming and strategizing, but it’s important to consider getting to action as soon as possible. Working out every loophole and deficiency in the proposal doesn’t need to be complete before lives are benefited. Foundations who take the time to self-evaluate can affect a culture change. It’s never too late for an organization to take a step back and ask themselves what they think about how goals are being accomplished. If an idea has backfired or is simply going nowhere, it’s a great time to ask questions. “What vision are we working towards in this task?” and “How would we like to see this accomplished?” are great questions to start with. It’s likely that a foundation can pinpoint tasks that are time wasters and barriers to accomplishing their mission. This is another dimension of the foundation’s self-evaluation. When time-wasting tasks and barriers to the vision of a project are discovered, they should be cut loose. Refocusing on the vision and reducing distractions is vital. Philanthropy is the business of doing good in the world. Ideals of how things should be or how change can be achieved don’t always happen the way they’ve envisioned. Organizations working towards social change should look for ways to celebrate each fresh idea and every small success. There is much to be done, and there are many avenues to success. Foundations should start small and find ways to make change fun!